Often in my career I have come up against the notion that there is ‘folk song’ and there is ‘contemporary song’, and that they are separate. I believe they are all part of the same thing. 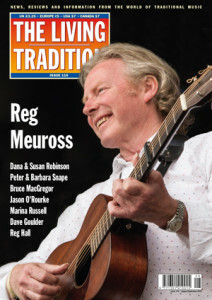 The catalogue of traditional folk songs must be preserved and protected, of course… and the tradition also carries on, through modern songwriters. We tell stories about people and their lives through songs, and also the social and political climate that we live in. For me, that is absolutely the living tradition. For The Seeds Of Love is all about that; I hope that all my songs ARE that.